Washington, D.C. — The U.S. Environmental Protection Agency (EPA) recognized 28 water quality treatment projects for excellence and innovation within the Clean Water State Revolving Fund (CWSRF) program. Honored projects include large wastewater infrastructure projects to small decentralized and agriculture projects. EPA’s Performance and Innovation in the SRF Creating Environmental Success (PISCES; https://www.epa.gov/cwsrf/pisces) program celebrates innovation demonstrated by CWSRF programs and assistance recipients. The CWSRF is a federal-state partnership that provides communities a permanent, independent source of low-cost financing for a wide range of water quality infrastructure projects. Over the past 30 years, CWSRF programs have provided more than $125 billion in financing for water quality infrastructure. Washington: On-Site Sewage System Loan Program – Tacoma-Pierce County Health Dept. 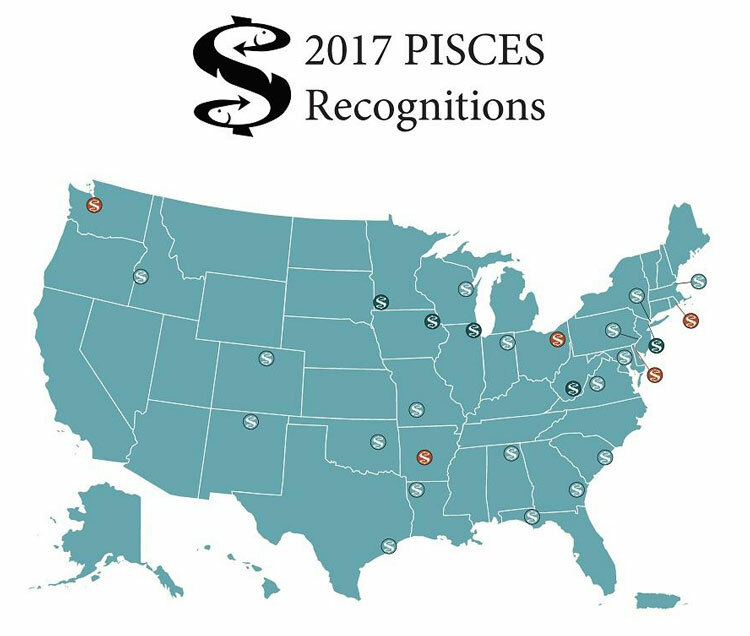 For detailed descriptions about the projects, check out the PISCES Compendium at https://www.epa.gov/sites/production/files/2017-10/documents/pisces_compendium_final.pdf.